ITAC Services is a solution-based company specialising in the global movement of drilling rigs and ancillary equipment. Our goal is to eliminate risk and minimise time to revenue, tailoring solutions via data capture and analysis, innovative engineering and attentive understanding of the needs of our clients. ITAC Services is supported and enhanced by more than twenty years of experience in project logistics, customs clearance, rig movement and freight movement, both within Australia and abroad. 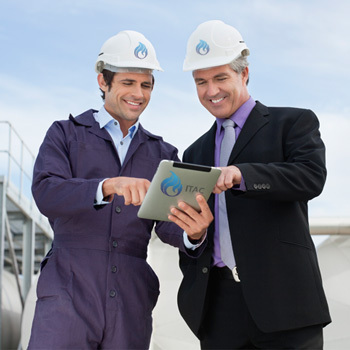 The specialised staff at ITAC provides superior solutions tailored specifically to its client needs. Our expert team is equipped with a combination of specialised technical skills and business acumen, and strives to maximise returns on client investment on every occasion. Whilst our core business focus is the local and global movement of Land Based Oil and Gas equipment, our expertise further encompasses Mining and Heavy Construction industries alike. The ITAC team has moved rig equipment in many locations both globally and domestically, braving some of the toughest regions and environments across the Asia Pacific, Africa, Europe, North and South America, Russia and the Middle East. Closer to home, our rig movement activities have covered all states and territories, extending to some of the most remote locations in Australia. ITAC currently has offices in Melbourne and Houston USA, which gives us global reach and facilitates to complement our expansive range of solutions. ITAC is also a long-standing member of the World Project Group (WPG), allowing it to access and supplement its knowledge with local expertise in countries around the world. The WPG is a highly selective member-based organisation that brings together the world’s best project logistics companies. With all regions represented by “best in class” organisations, ITAC brings not only the domestic specialised expertise of its team but also a global network of local expertise to all its project logistics operations.